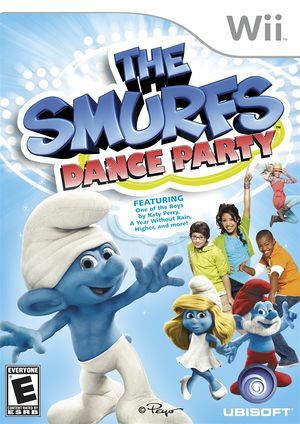 In The Smurfs: Dance Party, kids and parents can dance alongside their favorite characters and heroes from the feature film, including Smurfette, Papa Smurf, Clumsy, Brainy, Gutsy and Gargamel. Players can enjoy moving to a wide selection of musical genres, including Pop, R&B, Rock and Punk. Each track has unique choreography and can accommodate up to four dancers in Party Mode. The game's anti piracy detects Dolphin and will freeze the game shortly before the main menu. There is no work-around, refer issue 9185. The graph below charts the compatibility with The Smurfs: Dance Party since Dolphin's 2.0 release, listing revisions only where a compatibility change occurred.